What do you mean “I wasn’t driving, obviously”? I take both movies and photos while driving. It’s kind of fun. Nice shots, by the way. I am very absorbed when I’m making photographs, Emilio. I think driving at the same time would be living dangerously. And I could get a pricey ticket if I tried that here! Maybe a camera mounted on the dash with a remote control…? No, no, all wrong! You drive with one hand, and you turn on the screen on the back of the camera so you can see where you are going. When shooting something on the side, you wait for a break in the traffic, make sure you program your brain not to twitch, and you look to the side secure the car will, in fact, continue on its way. I don’t suggest doing that for more than 20-30 seconds unless one drives a big vehicle like I do. Wild and beautiful! What a whirlwind! Honestly I can *feel* that wind tearing at me just looking at your photos! How excellently done. Thanks for your words, Steven, they are poetic as always, and much appreciated. I’m glad you like these. Absolutely divine captures! You’re unique, always opening our eyes to something new. Great job! Hi Dina, your comment is so lovely, thanks very much! Looking out the window on long car drives is the perfect waking dream state. Thanks for sharing yours. It is very much a dream state, I like being in a car for that reason. It’s like an in between time. Thanks, Brenda. Karen, I love these, they are great & I love the fact that they were done from a moving car – I really think [I did not used to] that it is a fine way of photographing because so much of our world is seen from a moving vehicle. I’m glad you like these! A wonderful sense of energy and movement. In the second, the static tree trunks intensify the swirl of the leaves. The monochrome treatment contributes too – it removes the unnecessary distraction of fuzzy colours. Love these, Karen. I think they are more dramatic for being in black and white. Hi Karen, I love these photographs also but since you mentioned “intense colors,” of the originals, I’d be curious to see those too. Yellows? Browns? Reds? My mind’s wondering! As if you captured ‘Wind’; one of the main-characteristics of Fall. Original! Love it. These are wonderful Karen! Cool, fun and beautiful! I think they turned out great! Looks like you took them in a hurricane! These photos are beautiful. Thanks for sharing with us your technique of shooting as well. Such gentle but dynamic rushes of motion! They are great fun doing aren’t they? Beautiful, Karen, they look windswept, or it’s like you captured the wind at work! interested to see more about this technique. A nice concept with a nice result. Wonderful shots Karen. Like how you have captured the motion in the main subject and background yet still kept each on it’s own plane; at the same time keeping parts of the scene reasonably sharp. Lovely images, Karen. I’ve played with camera movement and, like you, enjoy the unexpected results. You got a lot of energy in these pictures, and I love the result, Karen. this is so exciting, really! Fantastic Karen! They are moving in so many ways. You have to ride shotgun more often! Awesome shots. 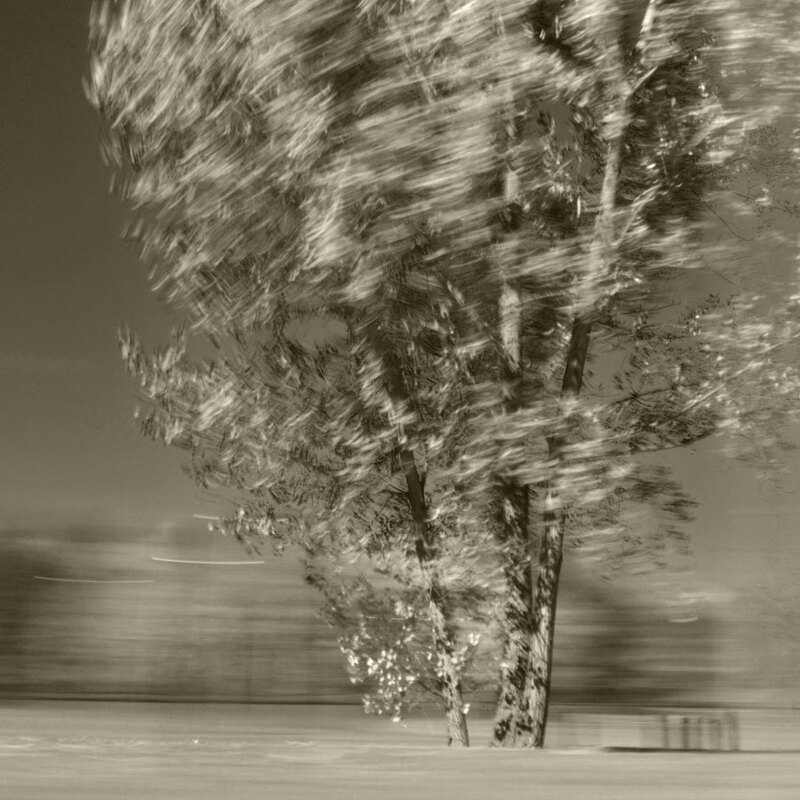 I love motion blur. It makes photos come alive. Great fun pictures, wonderful sense of wind and movement. Excellent effect and fun to do. Love the motion and the desaturation was a great choice. A very nice change of pace. One of the big things I like about your work is how you mix it up. r.
These are awesome. Very cyclonic! Really like the first one. Kind of looks like a crashing wave even though the texture is obviously different than water. These are very dynamic. And that is quite an interesting technique. Nice shots. The drive by is indeed fun and like you say you never know what you are going to get but something good usually results. Exciting and thought provoking! Excellent and inspiring. Wonderful images and a great way to pass the time while not actually driving. WOW!! very very nice. I love it! I like them, it seams as if there strong winds blowing! Beautiful images Karen, well made and inspirational. These images have great emotional impact. One almost feels that one’s insides are caught up in a whirlwind. Glad to hear you weren’t driving when you took these. They are beautiful, Karen – love the violence of them – they remind me of Night of the Hunter. Splendid. Spectacular movement and tones. Beautiful sense of movement, Karen. Love the tones. Superb Karen.. the movement is tremendous ! Just so beautiful….. ;___________; I’ve seen this somewhere on the walls of my dreams….. I love what you do, very awesome. Superb! You master every technique you try – at least from what we can see here! Wonderful!! Journey of a Photograph was good for me in that it took my paintings in a new direction. I wonder if maybe in the back of your mind somewhere was Emily’s image, saying hey, why don’t you try this. 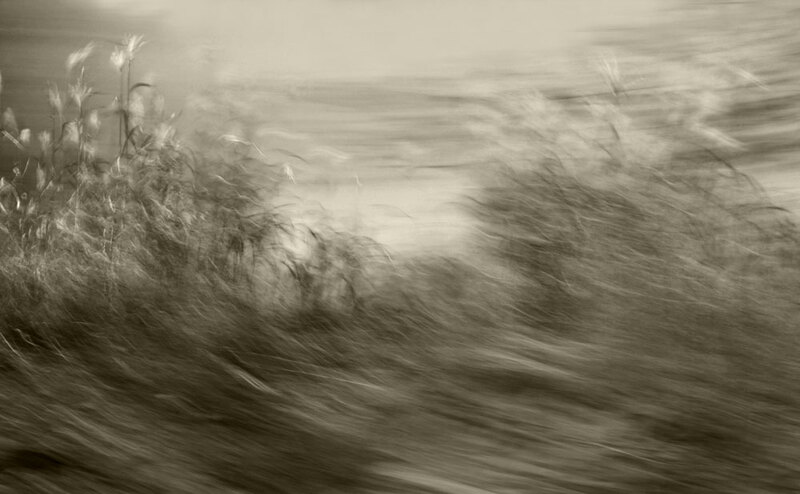 I know you have been making imaes of movement – just a thought I had when I looked at these. Love the tree. The first image is my favourite, so very beautiful ! thought it was pictures of the sea. Beautiful photos, very very good. Scintillating. Photos taken by Whirling Dervishes, no doubt. VERY nice! I’m impressed with that technique of panning whilst also moving. Something eerie about the results. Beautiful, Karen! I never get results anywhere near this nice from the car! I really really like these photos and how you have handled them (the sepia). Sometimes, I find fall’s colours a bit intense as well, so it was refreshing to see your sepia magic. I appreciate you sharing your camera technique, and I may try something similar one day, but I suspect my results will not be as beautiful. I always enjoy stopping by your site, though I have not commented recently. It is good to see your blog’s much deserved success. Best Wishes! Now, there’s the dynamics, the movement, the dance, the pure expression in form rather than color. I like them very much for their purity. Very inspiring shots. Thank you! O… M… G! The 2nd one is so intense!